4th of July Pizza Night! 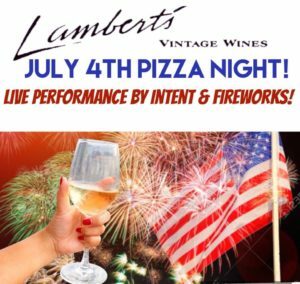 4th of July PIZZA NIGHT EVENT! Wednesday, July 4th starting at 5pm! *LAMBERTS WINE & WINE-A-RITA PITCHERS!